GARDENA — Pathways to Professions is a Gardena Valley Japanese Cultural Institute program to help guide students in high school and college on their chosen career paths, or to get you to start thinking about these questions: What do I want to do in life? How do I get there? Where do I start? The initial program, to be held Saturday, Sept. 27, from 1:30 to 4:30 p.m., will give the participants information about trends in the job market for the next decade. Speakers will be available from the following general fields: business, communications/marketing, engineering, health care, information systems, and public service. You will receive help in defining your career goals and advisement on educational and/or training pathways to achieve your goals. The workshop will also highlight current trends in the job market and professions that are in high demand. There will be a keynote address given by Craig Ishii, followed by breakout sessions involving key fields that have been identified as high demand for the next decade. Ishii is the executive director of Kizuna, whose mission is to build a critical mass of the next generation of community leaders. Kizuna works with more than 300 students per year. 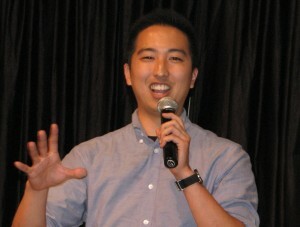 Prior to working at Kizuna, Ishii was regional director for the Pacific Southwest District Council of JACL from 2007 to 2011, the youngest director to serve with the organization. Companies and organizations participating in the breakout sessions will include: Union Bank, Little Tokyo Service Center, NBC Universal, Boeing, Hashi Corp., Game Train Learning Inc., and California State University Long Beach. You can choose two breakout sessions. Not only will you be able to meet face-to-face with career professionals in various fields, but there will also be free resources available for all participants.